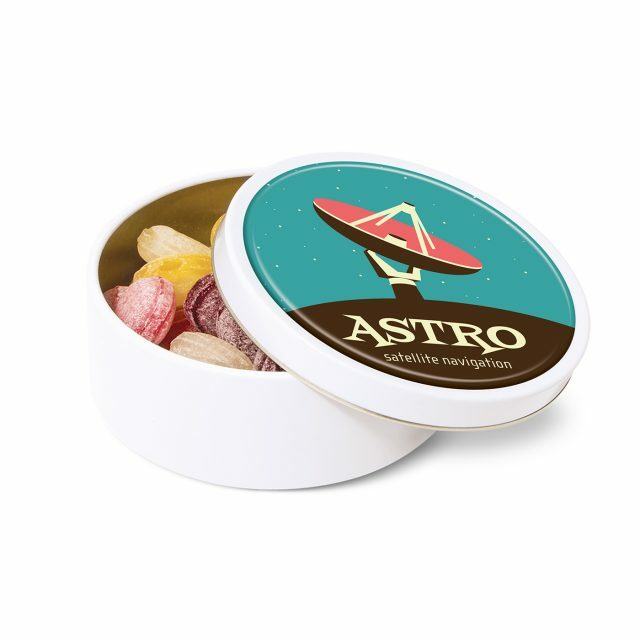 A small Travel Sweet Tin, filled with hard boiled fruit candy. Branded with a full colour domed label to the lid. This item comes pre-filled. May contain traces of milk. Keep cool and dry. Made in Germany.